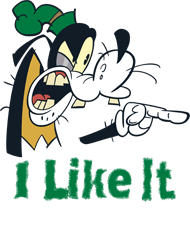 Goofy I Like It half sleeve T-Shirt, available in different colors, softest, smoothest, good looking..
Goofy half sleeve T-Shirt, available in different colors, softest, smoothest, good looking regular f..
Goofy is a funny animal cartoon character created in 1932 at Walt Disney origin. 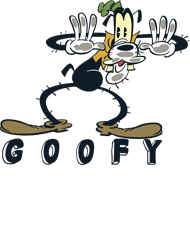 Goofy is a tall, anthropomorphic dog with a southern drawl, furthermore, wears a turtle neck and vest, with jeans, shoes, white gloves etc. 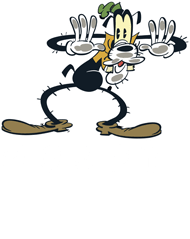 We are eager to announce that Neevov has received licensing and merchandising rights to create the latest quality brand for goofy t-shirts in India. Goofy t-shirts are the ultimate choice for boys &kids. Neevov offers wide accumulation of printed goofy t-shirts for boys &kids. In this modern time you are looking for an awesome collection of the latest brand. Each guy wants to appear with a unique personality among the crowd. This is the better option available for you to buy nice goofy t-shirts for your casual wear look. No matter what age you are, part of us will always be Disney fans at priority. And, usually only at trend because the goofy t-shirts fans are crazy to buy all the latest designs. We are excited to provide you better choice according to the trend and what you may like most wit your favourite design & colour. In case you're a fanatic of the greatest motion pictures and TV appears on the planet, we're here to make your fantasies work out as expected. Whether you are looking for an amazing choice keep goofy t-shirts into your wardrobe. This is a nice collection for boys & kids comfort wear. You can also get customized t-shirts for you party war, college function, Birthday event gift for your lovely friend. Even if you want to look different, would like to you favourite designs for yourself that make your look charm & pleasant. These sizes are M, L, XL, XXL for a tailor-fit experience. If you’re tall or short or wide or thin, our fashionable and comfortable goofy t-shirts are available with all perfect designs that you need. 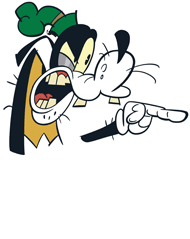 People who like to wear super goofy cool t-shirt designs. Neevov.com offers plain t shirts India which includes Disney character related. When it comes to boy’s goofy and mickey mouse t-shirts online India, half sleeves are the most popular as they keep you warm from feeling hot, which makes them more convenient to wear on casual occasions. But, having T-shirts in a variety of sleeve lengths makes your collection more interesting. A durable yet soft shirt that will become a wardrobe favourite. 100 % Cotton fabric, Easy hand wash, Durable & well stitched, Regular & Casual comfort fit.